User ManualEmail Discussion Group User Guide List AdministrationHow do I get a list of subscribers removed for excessive bounces? A bounce means that your message was rejected by the subscriber's email provider. If that happens too many times, we remove the subscriber's email address from your list. This ensures that we stay in the good books of the email provider and your other messages are delivered to your subscribers at the same provider without any problems. You can either use our web interface or send commands to our system. By using the web interface, you can receive a report of email addresses that were removed this week and/or a report of all email addresses that were removed since you started your list (due to excessive bounces). Helpful Information: The command SHOWBOUNCEHIST will report all subscribers that have been removed because of bounces, since the beginning of your list. 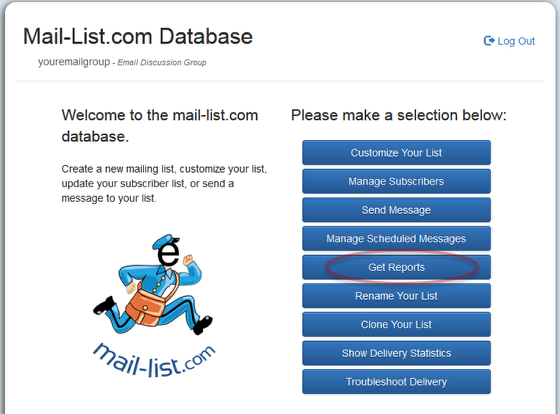 To use the web interface, log into your mail-list account and click on "Get Reports". 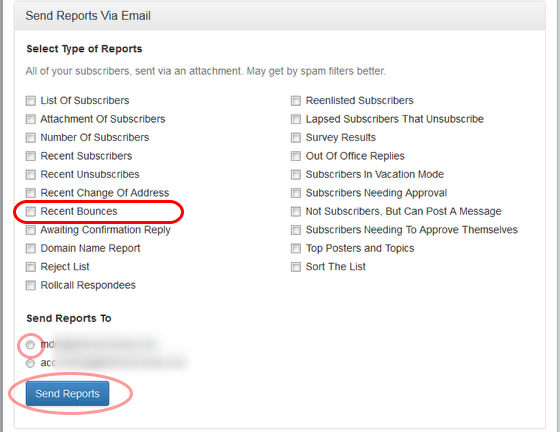 Click on "Send Reports Via Email", select "Recent Bounces" option and the email address where you want to receive the report. After you hit "Send Report(s)", you will receive an email containing the list of email addresses that were removed from your list this week (due to excessive bounces). 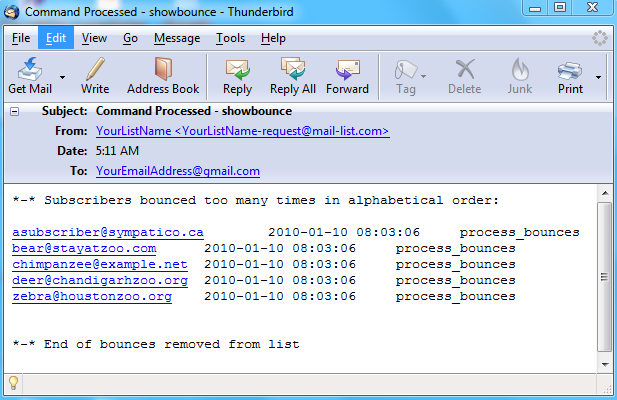 To get a complete list of all the email addresses that were removed (due to bounces) since you started your list, click on "Send Historical Reports Via Email". 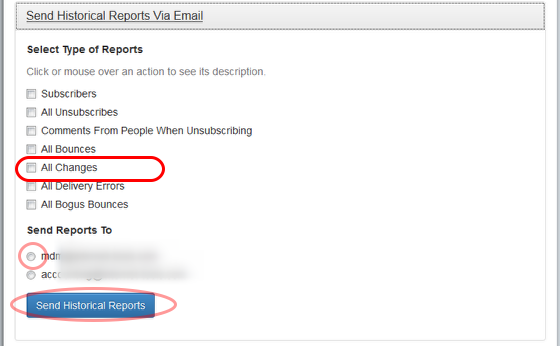 Select "All Bounces" and the email address where you want to receive the report. After you hit "Send Report(s)", you will receive an email containing the complete list of email addresses that were removed from your list since you started your list (due to excessive bounces). Prev: How do I get a list of the subscribers that are on the vacation list? Next: How do I see the comments left by the ex-subscribers when they unsubscribed?